Vue.js is a progressive framework because it adapts to the needs of the developer. Other frameworks require a complete buy-in from a developer or team and often wanted to be rewrite an existing application because they require some specific set of conventions. Vue happily lands inside the app with a simple script tag to start with, and it can grow along with people needs, spreading from 3 lines to managing the entire view layer. OdiTek Solutions is one of the earlier adopters of Vue.js and have built some awe-inspiring interfaces using some other technologies. OdiTek Solutions is offering dedicated Vue.js development services, with skilled and trained Vue JS developers to meet your business needs. We offer dedicated and cost-efficient services for Vue.js developments. We utilize most advanced tools and techniques as well as development methods for on-time project delivery. We ensure to offer the best performance and innovative solution to value your investment, we provide end-to-end Vue.js web development services to our clients spreading all across the globe. Custom Application Development - Get end-to-end Vue.js web development services from initial consultation, planning to the final Vue.js web app development & support. Single Page Application Development - Vue.js has become our preferred choice of front-end development and we have gained expertise from the mistakes and successes of React & Angular. Real-Time Application Development - Utilize our Vue.js application development proficiency to build performance obsessed real- time application to give your users a great experience. 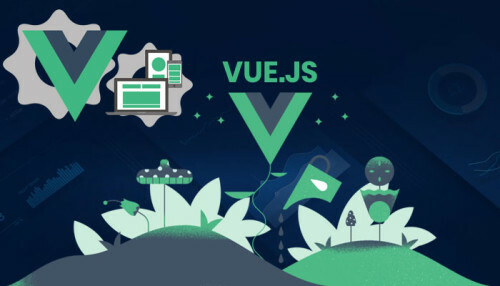 Third Party Integration with Vue.js - Our team of skilled and dedicated Vue.js developers are able to provide third party integration of Vue.js. Modernisation & Migration - Our Vue.js developers are proficient in adding new features in your web app as well as optimize it to improve performance. Data Analysis Tools - We own skilful expertise in building ideal data analysis tools to help your organization get a handle on large volumes of structured and unstructured data. Portal Development Solutions - We provide high-end website and portal development solutions for B2B and B2C enterprises, including Tradeshow, eCommerce and marketing portals. Vue.js Consulting - If you need any help related to Vue.js development, feel free to contact us. Our Vue.js consultants are always ready to help you. Maintenance and Upgradation Services - Our skilful developers are always available with our comprehensive maintenance support and most-advanced Vue.js development Service. Developing the best products and rendering the best services is one of the best attributes of OdiTek Solutions. Our Vue.js programmers are always excited to accept the new challenges. When you pick to hire Vue.js developers of ours, OdiTek Solutions can allocate you the best Vue.js programmers to ensure the quality and timely development. State-of-the-art technologies and cutting-edge tools to bring the most optimum Vue.js development solution. We have experienced Vue.js Consultants. Strategizing for VUE project, aligned with the business needs. Notable layout for User interface. Our developers create engaging front-end designing. Building scalable and sophisticated applications based on front-end and MVVM architecture. We use component-based UI to build Vue.js application for organization. Our Vue.js developer offers necessary support and all critical updates. Our team writes code with ‘code standards’ (less errors, neat and quality work). Development team always stay updated to the latest tools, technologies and updates in Vue.js Framework Website Development framework.